C. H. MASON CHURCHES OF GOD IN CHRIST INC.
BISHOP R. L. JOHNSON, D.TH. Pastor Kennedy Young , Jr.
Pastor Harold F. Seaton, Sr.
Pastor Mittie C. Muse, Sr. 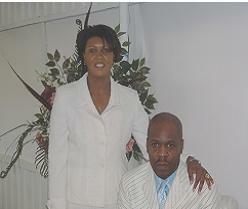 Faith Tabernacle Churches of Deliverance, INC.
Holy Spirit Temple M. R. C. C. C.
Bishop Ralph l. Johnson, d.th. Rev. Willie H. Bryant Jr.
Bishop Jimmie L. Beard, Jr.
Pastor Dexter B. Upshaw Sr.
Elder James R. Williams, Jr.
2005 FM 14-State Park Hwy. St. James C. M. E.
Rev. D. F. Madlock, Sr.
BISHOP DEMETRIUS O JETT SR.
Pastor Joshua L. Bowie, Sr.
Pastor: Dr. Howard E. Anderson Sr. The General Assembly Church of the Living God PGT San Antonio Tx. The General Assembly Church of the Living God P.G.T. Rev. Lee F. Bailey, Jr.
DIOCESE BISHOP KEN ROGERS, P.H., D.
If you would like to add your church or ministry to our directory, please fill in the form below. Also contact us, if you would like an audio clip added.